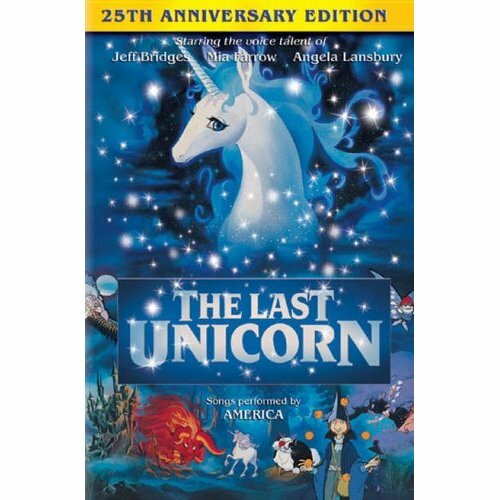 The Last Unicorn, Rankin/Bass, 1982. 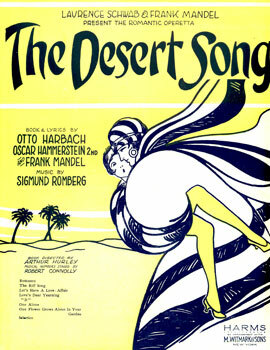 We also fondly remember The Desert Song, a totally awesome musical about a character that can be described as a mix between Zorro and Wesley/The Dread Pirate Roberts from The Princess Bride. Our dad was a member of the cast of a community theatre production of this musical when we were little and we loved going to the practices, dress rehearsals, and then finally the performances. We played Desert Song in the backyard and sang all the songs at the top of our little lungs. A life-long love of musical productions was cemented by those early experiences and we voraciously digested the Rogers & Hammerstein collections on VHS, and attended community theatre productions every chance we got. Isn’t it odd how things about which you were once so passionate fall by the wayside as you “grow up” and precious memories get relegated to the dusty corners of your mind? We are suddenly feeling the need to re-watch Rock-a-doodle and go see a haphazard production of some obscure play starring the guy who helped us change a flat tire on our way home from the grocery store.